And the winner is…Erick Castro of Kana Subsurface Engineering! The 2018 Veteran Business of the Year was recognized at last year’s banquet dinner under the Space Shuttle Endeavour. KSE’s dedication to assisting other veteran businesses while remaining focused on their own success deserved this incredible recognition. President and Veteran Erick Castro graciously accepted the award in person, thanking not only his own business but also his fellow Veteran business owners for their support in leading him to that stage. Castro began his journey in 1999 in the US Army, specializing in construction, explosives and demolition. He served in Fort Carson, traveled to Germany, and deployed to Iraq, where he was injured in an ambush. Upon his return to the US, Castro was granted not only a prestigious Purple Heart from President Bush, but simultaneously became a US citizen with the late Senator Ted Kennedy. Now out of the Army, he returned to school at Arizona State University where he majored in Mathematics and attended UCLA’s Entrepreneurship Bootcamp for Veterans. Combining his degree, skills and knowledge obtained from his time serving, Castro purchased Kana Subsurface Engineering (KSE) in 2014 to grow and build it into a successful and thriving company. Castro’s bold approach and focus has allowed his business to thrive. During the beginnings of KSE, he immediately jumped into bids against other primes and set KSE apart as to-the-point and competitive beyond just having Disabled Veteran Business Enterprise (DVBE) certification. “Certification is just another feather in your cap,” said Castro “you actually need to still compete…perform, deliver and make the customer happy.” His targeted philosophy applies to his employees, whom he makes sure are properly equipped, coached, and are truly held accountable. As President, Castro centers KSE’s work on subterranean ground construction and engineering. “I kind of push the envelope with him” business consultant Rene Cota, President of CMG Alliance and a fellow Veteran. By knowing his company’s capabilities and strengths, Castro calculates risks and isn’t afraid to jump at opportunities. What made Castro Above & Beyond Award material is his proactive dedication to other Veterans in business to grow and thrive. 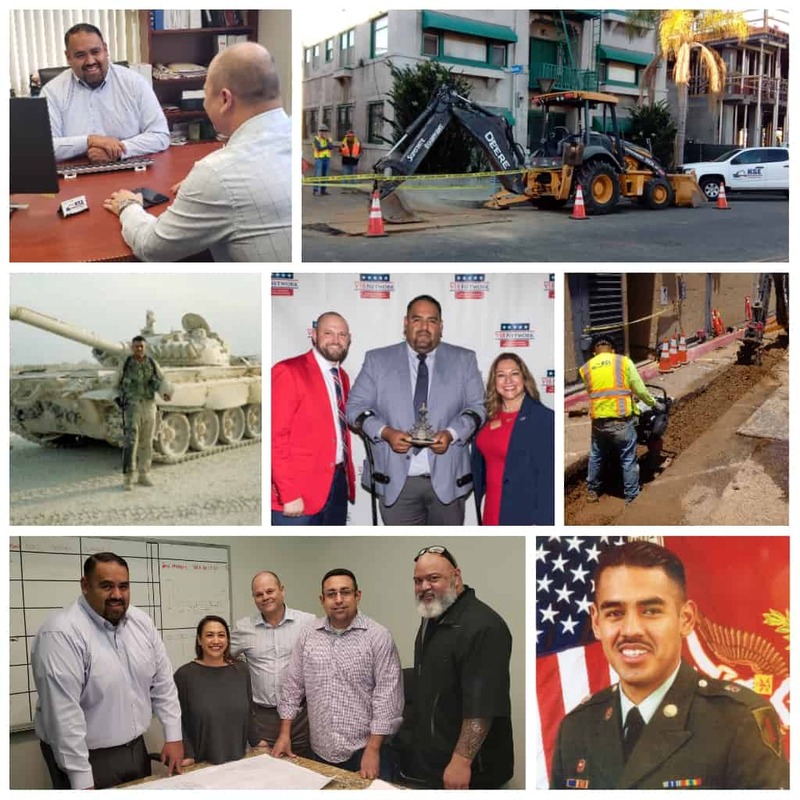 Not only does he hire and subcontract consistently with other Veterans, but his donations and work with other Veteran based non-profits have made him a familiar and welcome face in this community. We here at the VIB congratulate Erick and are proud to have him as 2018’s Veteran Business of the Year!